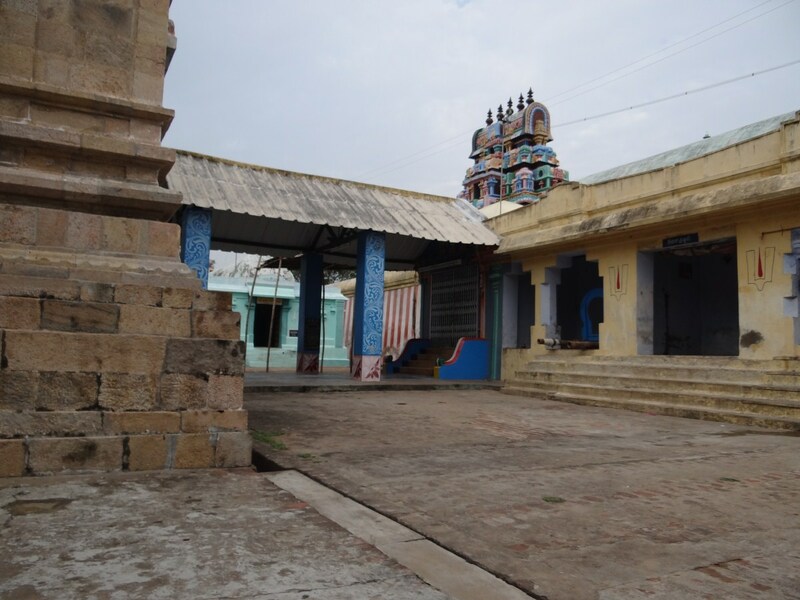 Thiru Kannamangai Bhaktavatsalam Divya Desam is located about 25kms South of Thirucherai Divya Desam on the Kumbakonam-Thiruvarur road between two rivers – OdamPokki in the South and Virutha Cauvery in the North. 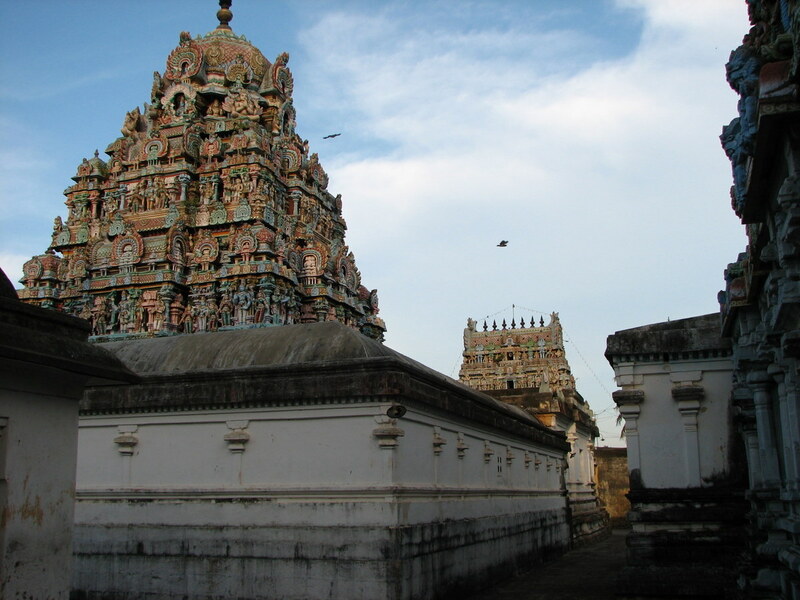 The place is also praised as Lakshmi Vanam as Mother performed penance here and as Krishna Mangala Kshetra as the divine wedding took place here. Besides being one of the celebrated 108 Divya Desas of Lord Vishnu, the temple also qualifies the six criterias of Vimana, Aaranya, Mandap, Theertha Kshetra importance, River, City importance to be called a Saptha Punya Kshetra or Sapthamrutha Kshetra. All the Devas in the celestial world gathered here to witness and participate in the divine wedding of Lord Vishnu with Mother Mahalakshmi. They wished that this darshan should be available to them for ever. They took the form of honey-bees, built nests and stayed here to realize their wish. Even today, a honey nest exists on the northern side of Mother’s shrine the antiquity of which is not known to anybody. This is a miracle in this Divya desam. It is believed that a one day stay in the place will bring total salvation to the soul. As Lord rushes to the rescue of His devotees so fast with the speed of Steam-Aavi in Tamil, He is praised as Bhakthar Aavi which later changed as Bhatharavi. 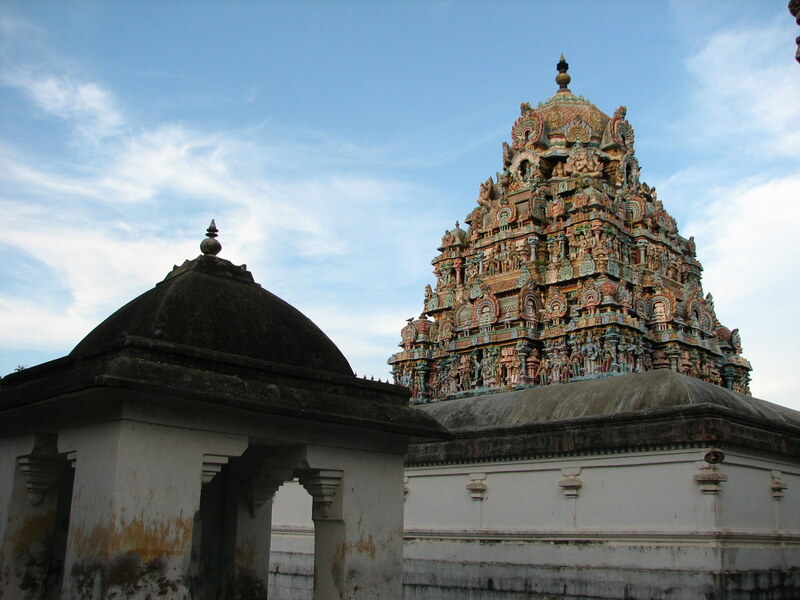 Perumal’s Vimana is of Utpala design. It is also believed that the place is protected by Lord Shiva in all four directions in four forms. Though Vishwakseana appears with four hands in Vishnu temples, He appears with only two hands here as he came here to have the audience of Mother Mahalakshmi for Perumal on an occasion. During Lord Vishnu’s Vamana Avatar, when He raised one of His legs up to the sky, Lord Brahmma worshipped the leg with abishek from the water of His Kamanadala bowl. A drop of this abishek water fell here, now praised as the sacred spring Darshana Pushkarini. 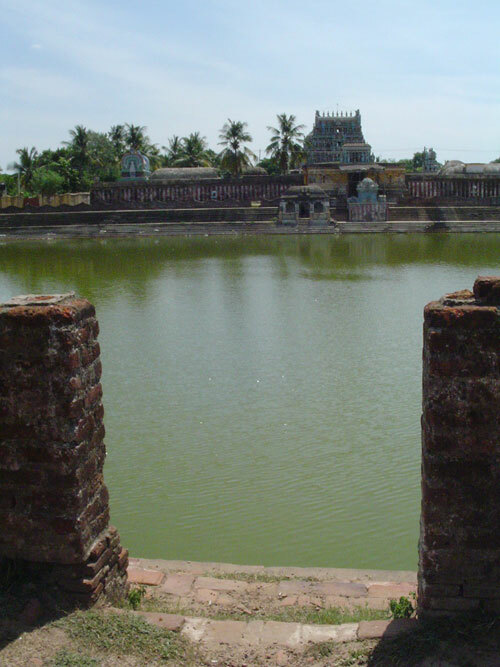 When Chandra-Moon was wandering here for relief of a curse, he sighted this Pushkarini, his curse disappearing at once. Lord did the abishek to Mother with this spring water and made Her His consort. Hence, Mother is called Abishekavalli. Acharya Nadhamunigal, who edited the devotional verses of 12 Alwars under the caption Nalayira Divya Prapandam, had a disciple named Tirukanna Mangai Andan. His mission in life was to serve Lord, clean the temple and place him at Lord’s feet. While he was chanting the Vedas one day, suddenly he took the form of a dog, entered into the sanctum sanctorum and merged with Perumal as a Jyoti. A festival dedicated to him on the Tiruvonam star day in the month of Aani – June-July is devotionally celebrated. The place is named after him as Tirukanna Mangai. Sri Garuda Bhagwan, the celebrated vehicle of Lord Vishnu in the temple is colossal in size gracing the devotees. Those seeking removal of obstacle in wedding proposals, child boon and job seekers go round Him for realizing their wishes. 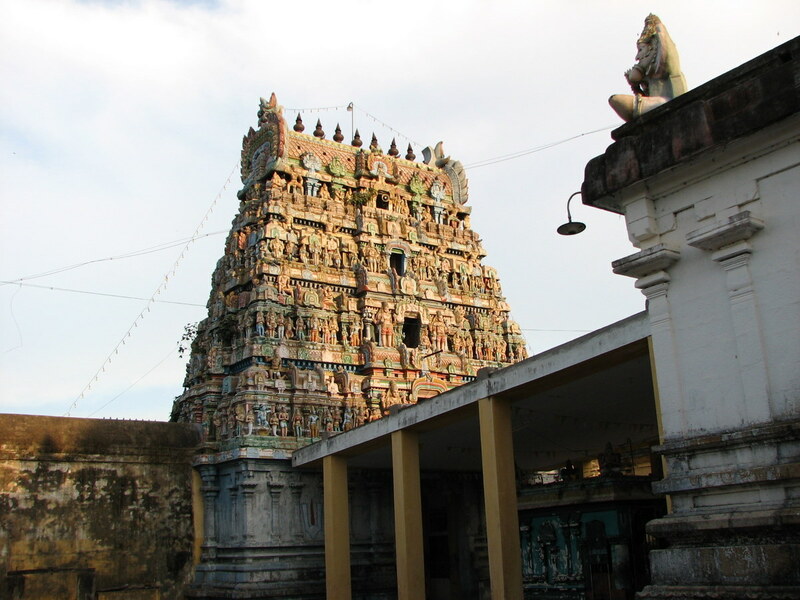 Varuna the Lord of Rain, Sage Romasa, all Devas-Mupathu Mukkodi in number, had the darshan of Lord in this temple. The temple is open from 08:00 a.m. to 12:00 noon and from 05:00 p.m. to 8:30 p.m.
One can take a bus from Kumbakonam via Tirucherai. 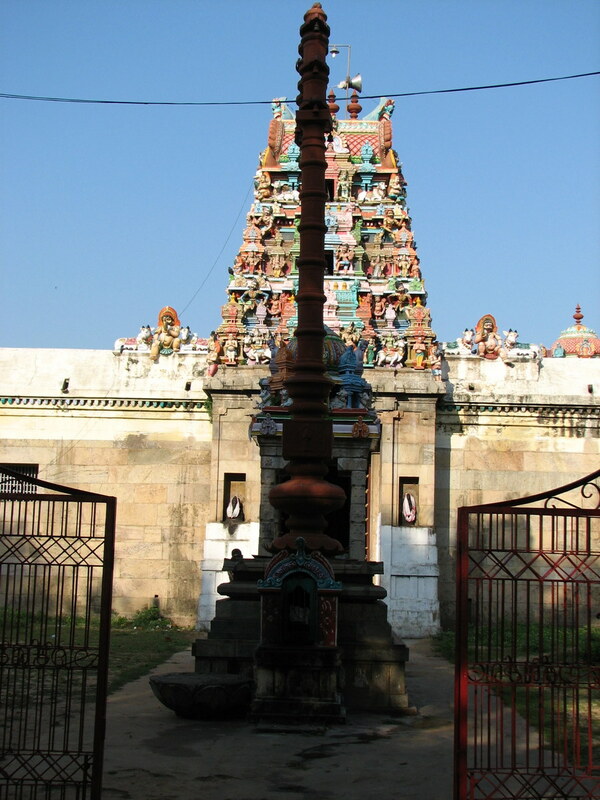 One can also reach Kannamangai from Thiruvarur (about 7 kms West of Thiruvarur). From Mayavaram, one can take the Tiruvarur road to reach Thiru Kannamangai. Phone: 04366-278288 ; 98658 34676.